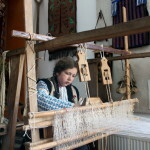 We found craftsman Maria Robu at the Children’s Club from commune Sabaoani at Circle of tapestry where a group of children within primary school from the village, dressed in folk costumes and organized in workshops, were preparing wool yarn, were knitting, were weaving at the vertical and horizontal looms, at tambour, were working at tapestry, at the tapestry made of nodes, were working on frames, were painting on canvas. 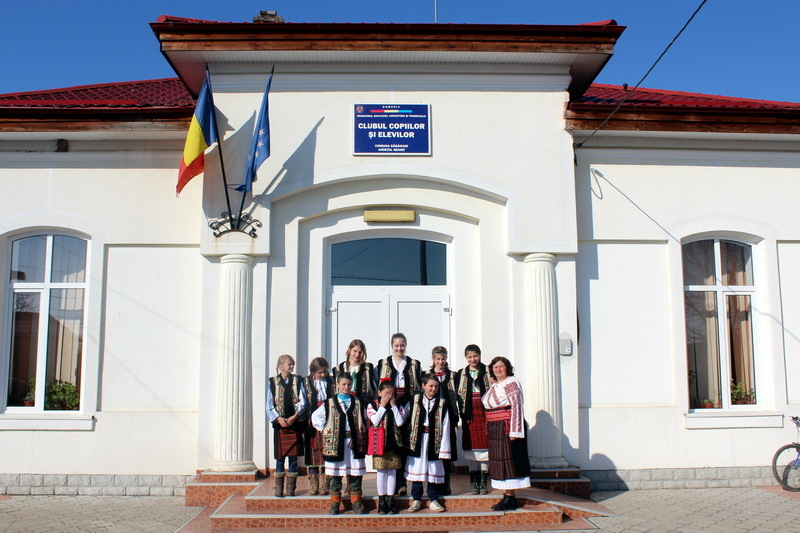 It is the only commune in the county that has a Kids Club. 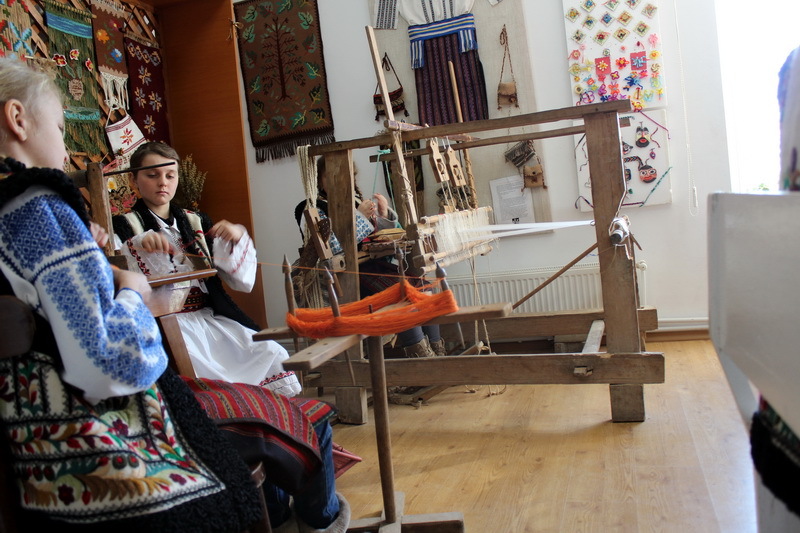 We found that, in total, in the club Tapestry Circle are 12 groups of students including students from the local Theoretical High School Vasile Alecsandri so that the working day of their tutor is extended until evening. 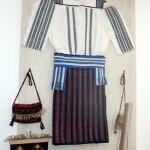 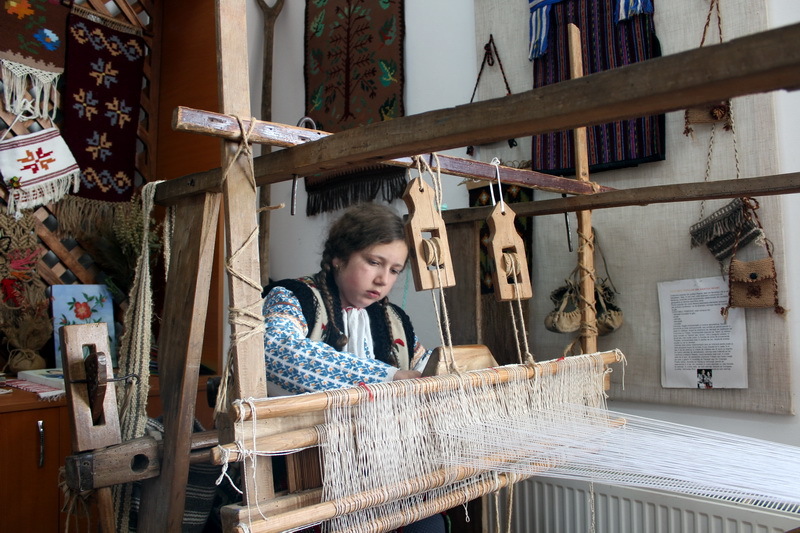 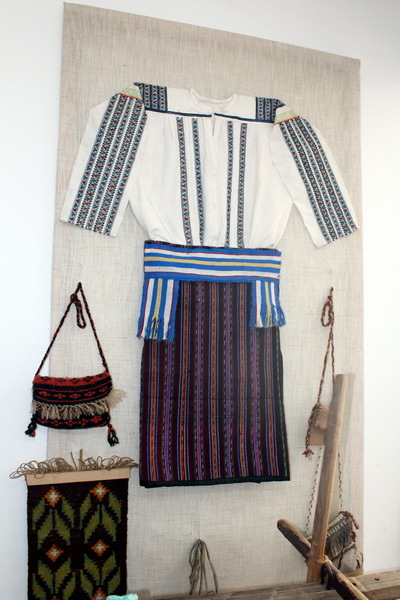 Kept from the ancestors in commune, the domestic activities such as those listed, are to be found of increasingly less often in local households. 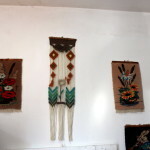 Therefore Maria Robu, with the knowledge and skill of the teacher and educator, with much love and patience teaches the young generation to carry on the tradition of handicrafts in this part of the county. 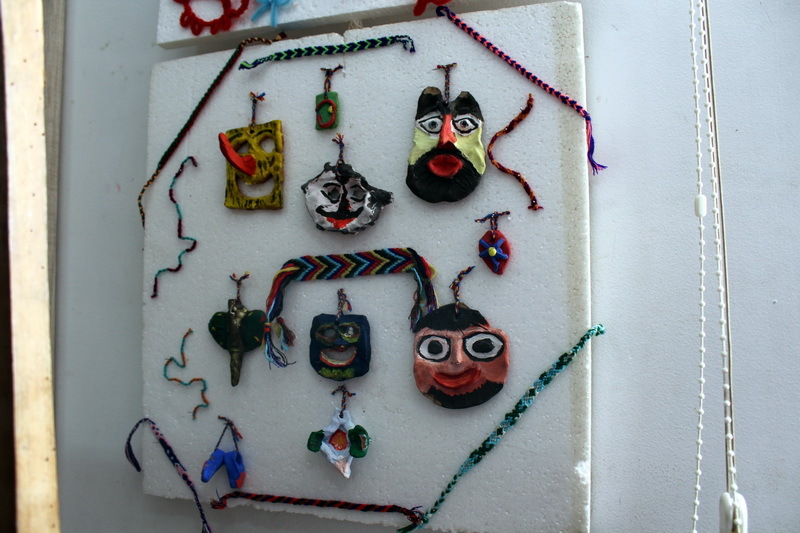 “We were visited by various foreign delegations who wanted to see for themselves the children at work and they were amazed by the works that came out of their hands. 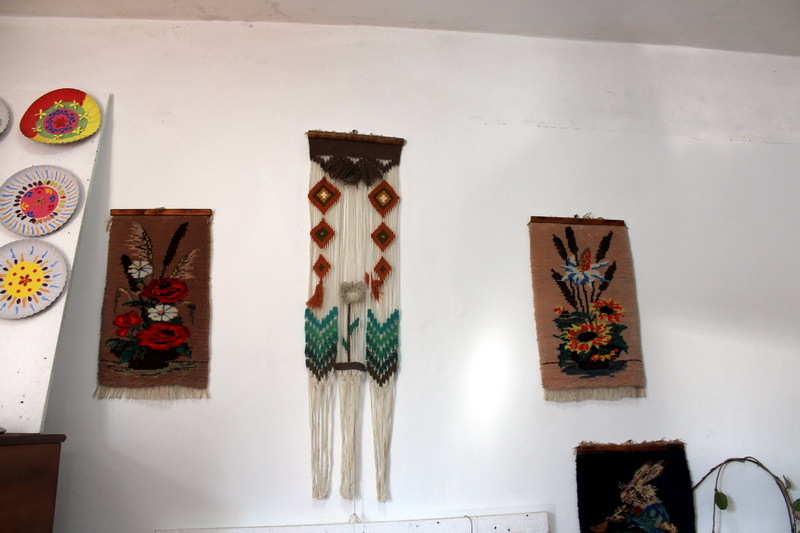 They saw our traditions at their home. 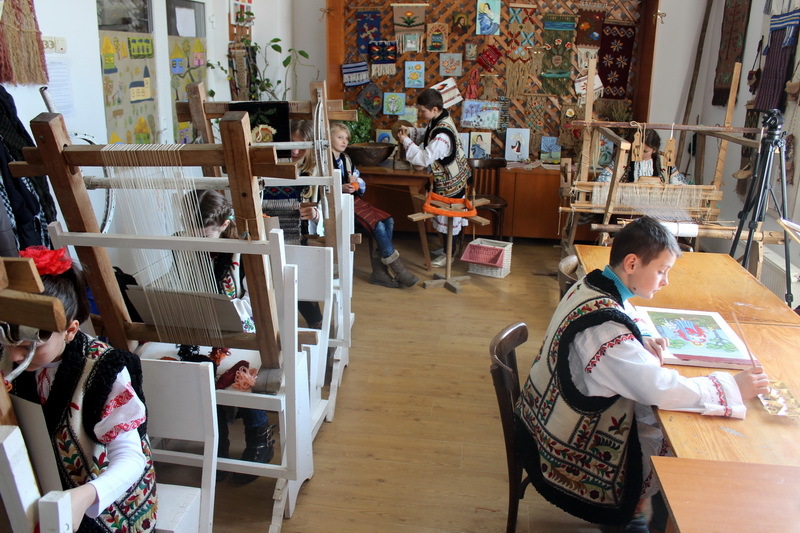 With our products we participate in contests, at workshops, at exhibitions, both at home and abroad benefiting from the support of parents of these hardworking children. 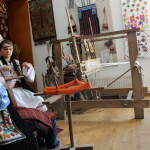 As a result of work and interest that children demonstrates to our circle, we obtained the first prizes with the products and work performed by the most talented of them. 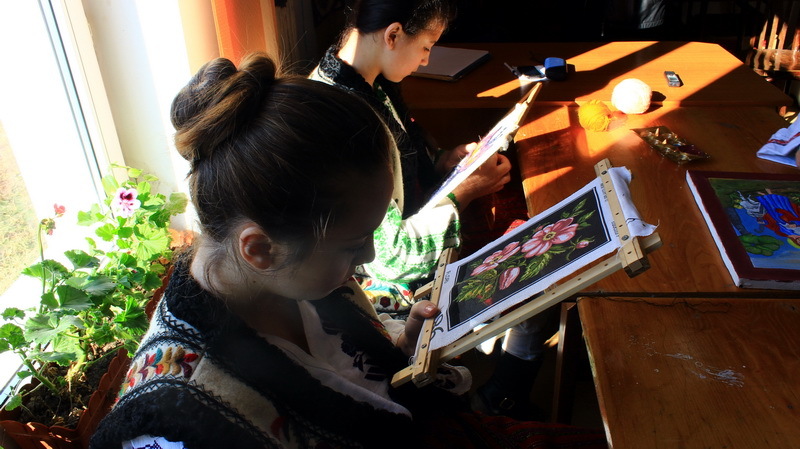 For instance, at the County Plastic Arts Competition <Pro Arte> from Piatra Neamt, at the National Competition <We have one planet> held in Slobozia, or International Creativity Contest <Spring Flowers> from Zalau” told us the craftsman. Maria Robu remembers the years when she attended the Popular Arts School, the teachers who have guided her steps and her Diploma Work which was rated with the highest grade. 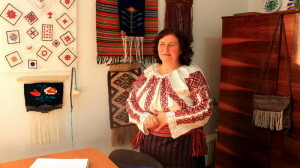 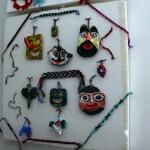 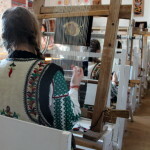 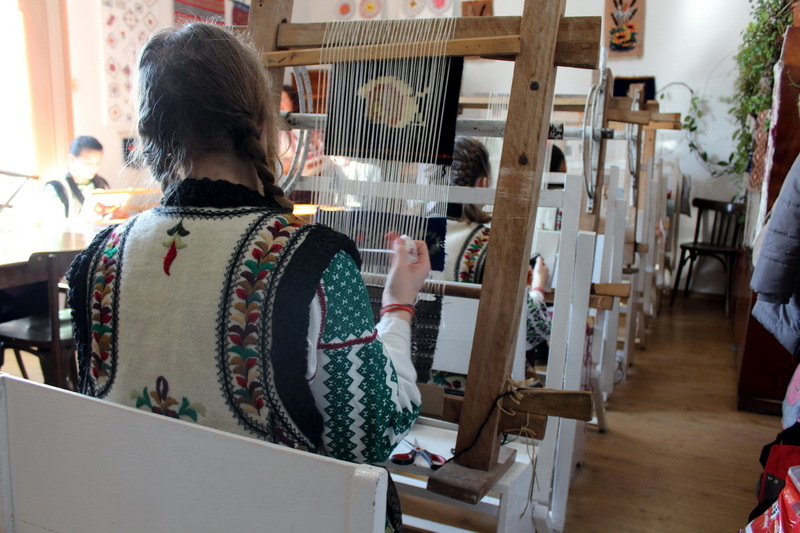 For 31 years she is working with children from the commune, teaches them technique, art and secrets to loom work, the needlework, the tapestry, it initiates them in the plastic arts with confidence that in this way will help them to walk easier in life.